How do I add or remove a student? You're able to quickly add and remove students from your end. 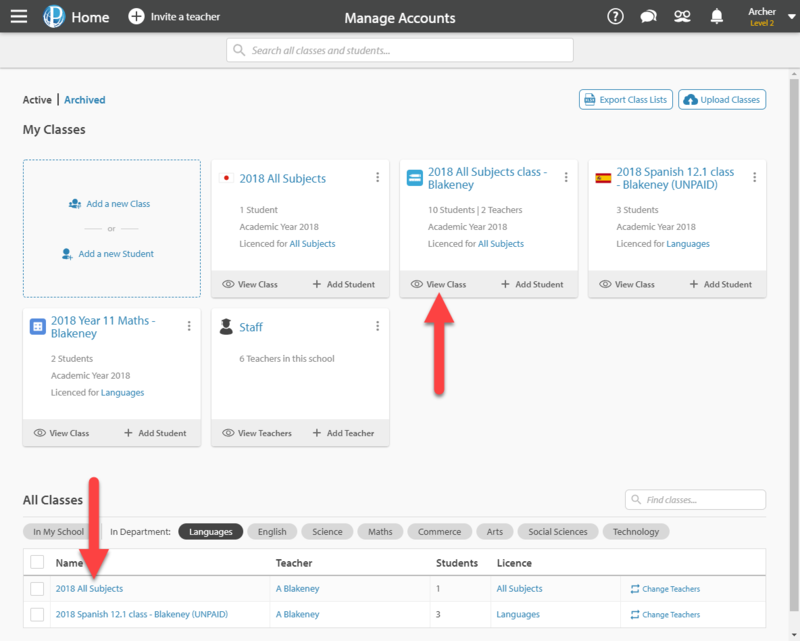 This article explains how you can add or remove individual students and teachers from the Control Panel. 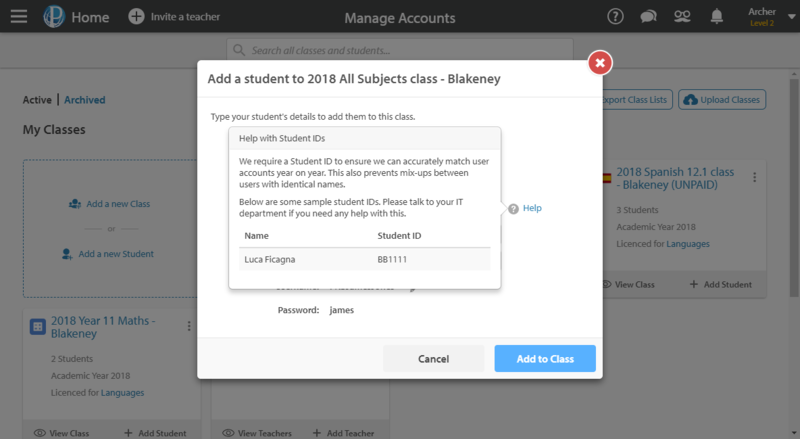 If you want to add entire classes to Education Perfect, it’s easier to have our enrolment team do a bulk student import for you. You should avoid creating new accounts for students who already have an existing account. 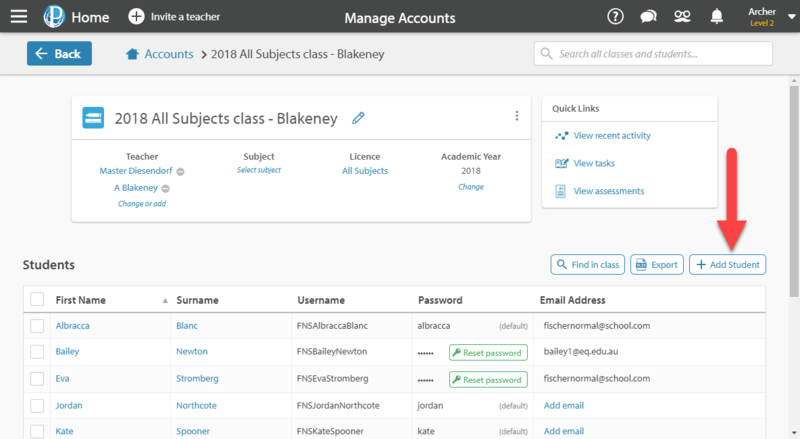 Having one account per student allows them to keep all of their scores and progress in one place and can help to prevent confusion around licencing. Select the Manage Accounts section of your Control Panel. Find the class you want to add/remove the student(s) from. The classes that belong to you each have their own tile at the top of the page. To open one of these classes, select the View Class button. Underneath your classes, there will be a list of all of the classes at your school, which you can filter by subject. To open one of these classes, click on the name. Select the the Add Student button. Enter the student's name. You may get a list of suggested accounts that have similar names to the one you entered. 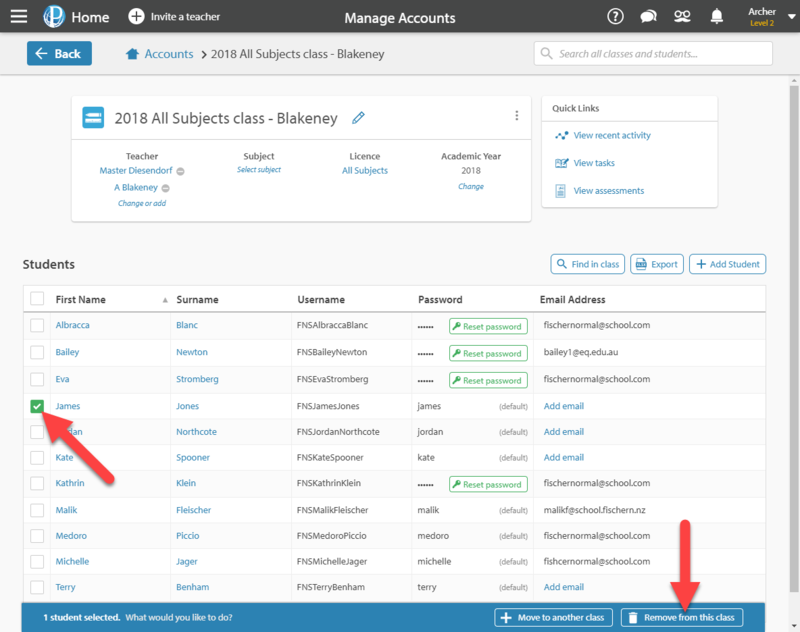 If the student already has an account, it may appear here and you can select the Add to Class button. 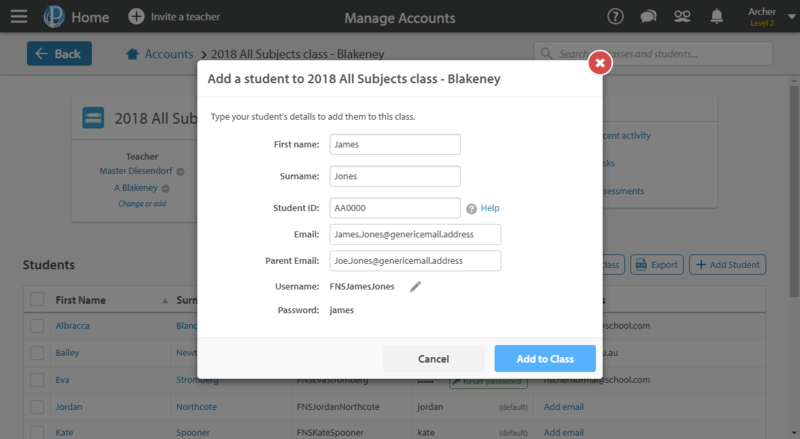 If you're adding a new account, select Create a new student account. Fill out any additional details for the student. Depending on how your school is set up, you may be required to enter an ID, SSO ID or LTI ID when creating a new account. To see what IDs some of the other students at your school are using, hover over the Help icon. If you're still unsure of what ID you should be using, get in touch with us at support@educationperfect.com. From the class page, select the check box on the left-hand side of the page next to each of the students that you'd like to remove. Once you're ready to remove the student(s), select Remove from this class. 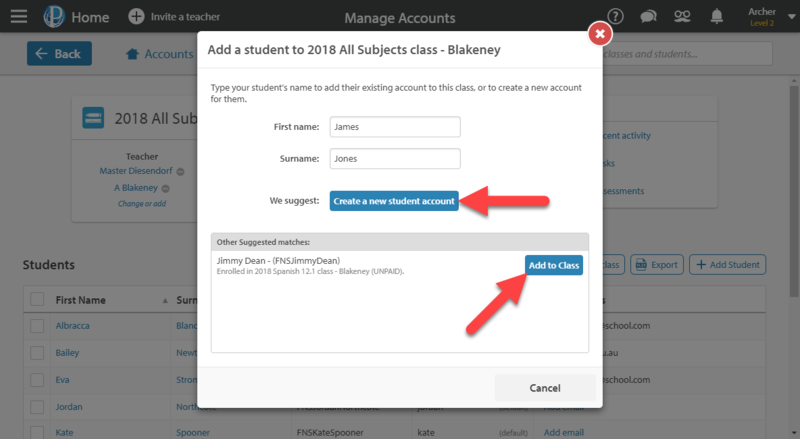 If you want to remove a student from more than one class, either search their name in the box at the top of the page or select their name from the class page. 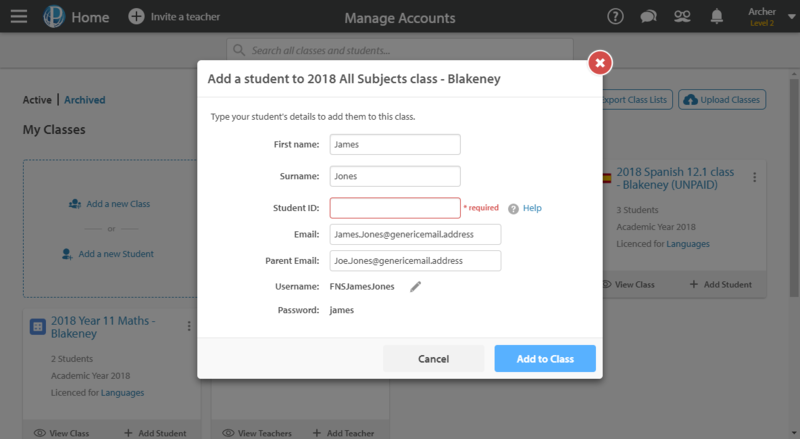 Select Remove from class for any classes that you want the student to be removed from. 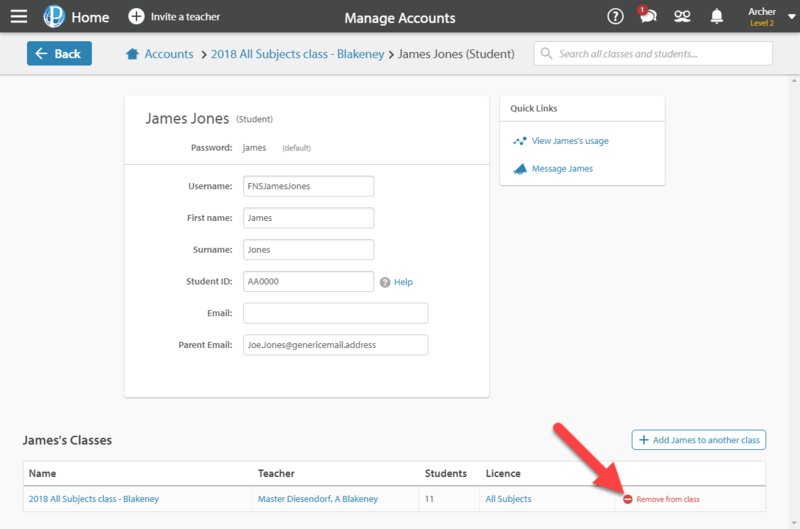 If a student is removed from all classes that they're in, their account will be listed as inactive.